A distinctive, inviting Awning or Canopy makes your restaurant easy to find. 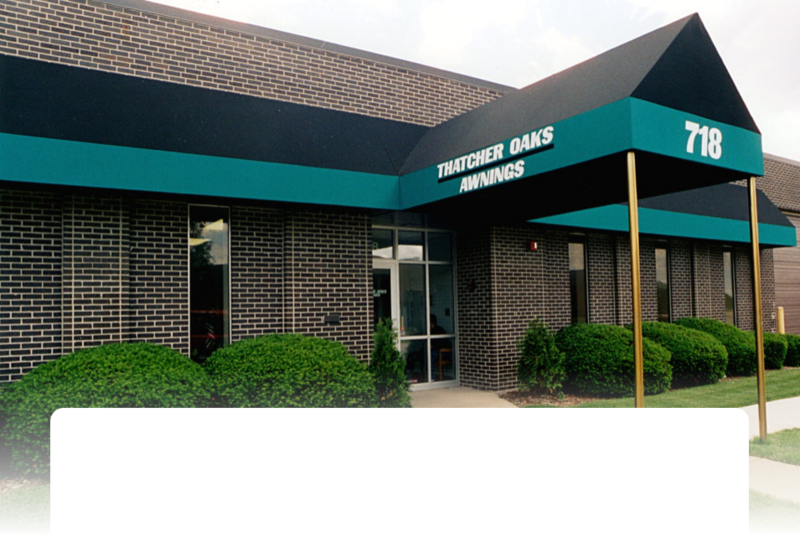 The Thatcher Oaks team will work with you to give your business the look you want, using your brand’s colors and custom logo. Our Enclosures page shows examples of custom patio fencing, walled patio enclosures, and windscreen vestibules, affordable solutions to expand your seating options.